While one may or may not agree with the terminology employed by the Home Minister in his recent speech at Jaipur, we feel that for long prejudice has ruled investigations, obscuring the role of organizations and their multiple affiliates in planning and executing of attacks and bombings in the country. The veneer of 'nationalism' -- narrow, exclusionary and based on hatred for minorities as it is-- cannot hide the violence that Sangh and its affiliates beget and peddle. Civil rights groups have been arguing for long that the investigations into bomb blasts and terror attacks have degenerated into communal witch-hunts. Bomb blasts are followed predictably by mass arrests of Muslim youth, raids in Muslim-dominated localities, detentions, arrests and torture; media trials, charge sheets and prosecution based on custodial confessions and little real evidence. It has been assumed, and accepted widely, that no further proof of guilt need be offered than the fact that the accused belonged to a particular community. Leads which pointed to the hands of groups affiliated to Sangh organisations and their complicity in planning and executing acts of terror were ignored, never seriously pursued. The agencies, showing their abject bias, instead chose to pursue the beaten track of investigating Islamic terrorist organizations such—despite clear evidence pointing in the opposite direction. 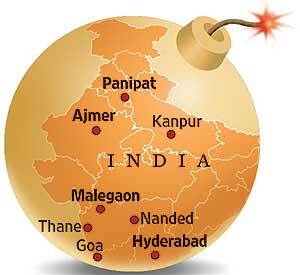 This was true of Nanded blasts in 2006, as well as of Mecca Masjid and Ajmer Sharif bombings. The only exception was Maharashtra ATS chief Hemant Karkare, who had, as far back as 2008 conclusively brought into the public domain the nefarious designs of Abhinav Bharat and its foot soldiers of hate: (Sadhvi) Pragya Singh of the ABVP, serving army officer Col. Purohit, and Sunil Joshi, Indresh and Swami Aseemanand belonging to the RSS. Karkare had communicated to the Hyderabad Police the sensational claim by Col. Purohit that he had procured RDX from an army inventory when he was posted in Jammu and Kashmir in 2006. The Hyderabad Police however ignored his messages, having already detained close to 70 youth belonging to the Muslim community. · Although the Indian government has belatedly acknowledged the heinous terrorist acts of the Sangh groups we feel that a genuine probe must also perforce encompass a thorough enquiry into the terror nexus straddling Abhinav Bharat, RSS, VHP, BJP and Bajrang Dal leaders together with sections of the Indian intelligence and security agencies who deliberately subverted the probes as well as the due process of law. 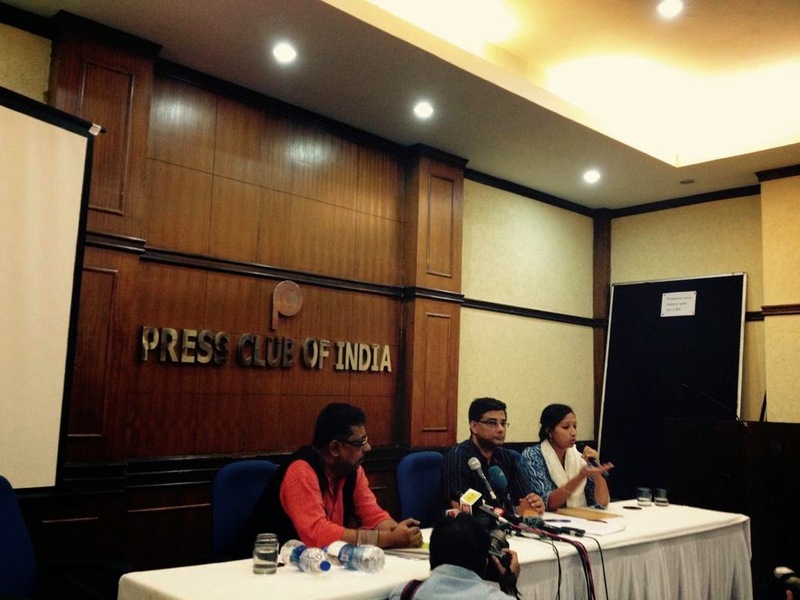 · There must be a thorough investigation into the foreign sources of funding of the Hindutva organizations. We hope that the acknowledgement of Hindutva terror will not remain a statement only but that the investigations will be seriously and sincerely pursued.